The film recalling the dramatic rescue of 23 people from a steamship off Baltimore during the First World War was finished on Sunday after a very busy weekend. A professional film crew from the UK, sponsored by Arts Council England, visited Baltimore to produce the film in a collaboration with the RNLI and the Baltimore Drama Group. The production is part of an RNLI heritage project. It will focus on the work of the RNLI and coastal communities during World War One will feature in a four year exhibition entitled Hope in the Great War. Opening in February next year, this family friendly exhibition will see some of the untold stories of the RNLI’s work during WW1 brought to life with six stories from around the coast of Ireland and the UK. The dramatic rescue goes back to the 29 December 1916 when the steamship Alondra was wrecked on the Kedge Rock, off Baltimore. Sixteen of her crew left in one of the ship’s boats, but drowned before reaching the shore. The Venerable Archeacon John Richard Hedge Becher (Honorary Secretary of Baltimore RNLI) and some volunteers launched a boat but it failed to reach the vessel. They returned to Baltimore but put off again as some of the ship’s crew had made the rock. Failing to reach the wreck they put back to shore again. At daylight they set out with rocket apparatus. About the same time, two Royal Navy trawlers came upon the scene and the efforts of all, saved 23 survivors some of whom were lowered down a 150 foot cliff. RNLI Silver Medals for Gallantry were awarded to Archdeacon Becher and Lieutenant Sanderson for their role in helping to rescue the 23 men from Alondra. Among the cast retelling the story at the weekend were Baltimore RNLI crew member Tadhg Collins, sea safety officer Michael Walsh, former crew member Pat Flaherty and Bernie O’Driscoll, wife of the late Bernard O’Driscoll, former Honorary Secretary. Pat Flaherty, who plays the role of Archdeacon Becher and is the chair of Baltimore Drama Group said filming went well: ‘The Drama Group and the lifeboat crew worked very well together on this project and it created great interest locally in the history. People who’d never heard of the Alondra went and did research and found books about it’. Michael Walsh, who played the role of one of Becher’s crew enjoed being involved: ‘I had got interested in the subject matter of the Alondra. Coming from an RNLI background, I found it a privilege to work on the historical account and an honour to work with such a professional film crew’. Director Paul Fitzgerald of I Made This, said it was pleasure to work with all involved: ‘I had no idea what to expect before we arrived in Baltimore, but it couldn’t have gone better. The cast and crew all behaved like professionals and were a pleasure to work with’. The cast included Pat Flaherty – Archdeacon Becher, Cornie Bohane – Man in Chair, Tadhg Collins – Alondra Crew, Michael Walsh – Baltimore rescue crew, Rupert Stutchbury – Captain, Bernie O’Driscoll – Woman and Olan Marten – Narrator. Thanks to all who gave props, costumes and most of all their time. 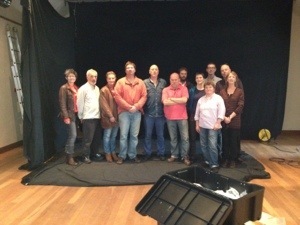 Some of the cast & crew are featured in the photograph. After many weeks of planning we are finally ready to roll cameras. The community hall has been transformed into a stage set with drapes and lights. Props have been collected and costumes altered. Tomorrow we begin shooting the film that will relate the story of the SS Alondra rescue through a series of vignettes. The role of Baltimore in the rescue of 23 people from a steamship called Alondra which was wrecked off the Kedges in late 1916, is to be featured in an RNLI touring exhibition commemorating the centenary of World War One (WW1). The charity’s exhibition, funded by Arts Council England, is calledHope in the Great War and will honour the courage and bravery of the lifeboat crew who risked their lives to save others during WW1. While a lot of people will be familiar with the sinking of the Lusitania off the Cork coast in 1915, not as many will be aware of this rescue which took place in Baltimore a year later. A decision by the RNLI charity to establish a lifeboat station at Baltimore was made in 1913 but its actual opening took place in 1919, having been delayed by the First World War. It was on the 29 December 1916 that the SS Alondra was wrecked on the Kedge Rock, off Baltimore. Sixteen of her crew left in one of the ship’s boats, but drowned before reaching the shore. 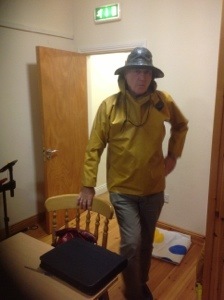 The Venerable Archeacon John Richard Hedge Becher (Honorary Secretary of Baltimore RNLI) and some volunteers launched a boat but it failed to reach the vessel. They returned to Baltimore but put off again as some of the ship’s crew had made the rock. Failing to reach the wreck they put back to shore again. At daylight they set out with rocket apparatus. About the same time, two Royal Navy trawlers came upon the scene and the efforts of all, saved 23 survivors some of whom were lowered down a 150 foot cliff. Baltimore’s lifesaving story has been chosen to feature alongside five other RNLI lifeboat services that took place in communities across Ireland and the UK. Opening in February 2014 at the Henry Blogg Museum in Norfolk, Hope in the Great War will start a four year tour around RNLI museums, lifeboat stations and other museums. Now the RNLI is asking the local community in Baltimore to get in contact if they know of any details such as family memories, photographs, letters or artefacts connected to the rescue. The most relevant items may be selected to feature within the exhibition allowing the fullest story of the rescue to be told nationally. To pass on any family memories, anecdotes, photos or letters, please email Rebecca_Fletcher@rnli.org.uk or call the RNLI Henry Blogg Museum on 01263 511294. Locally meanwhile, Baltimore RNLI is teaming up with members of the Baltimore Amateur Drama Group to create a piece of artwork for the tour. 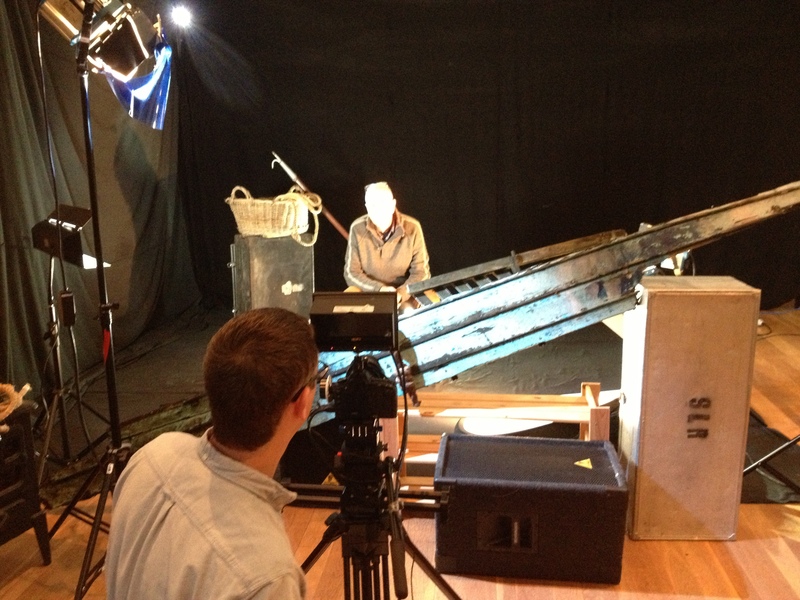 The group is creating a short film about the rescue which will feature within the exhibition. 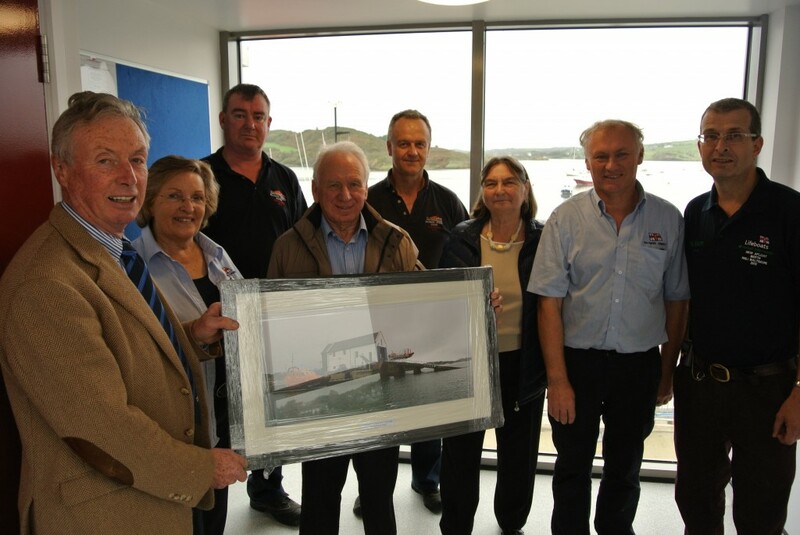 Baltimore RNLI will be the second Cork lifeboat station to mark the role it played during World War One. The Courtmacsherry RNLI Lusitania Centenary Committee has already appealed to the public for artefacts, stories and memorabilia to be part of a major exhibition to commemorate the centenary of the sinking of the Lusitania off the Cork coast in 1915. They are also calling on any family members of those lost or saved in the Lusitania tragedy to contact them to share their stories, which will then be compiled and included in the exhibition. The commemoration will be held on the May Bank holiday weekend 2015 with the centrepiece being a Lusitania Exhibition in Courtmacsherry RNLI Lifeboat Station and other local venues. Courtmacsherry lifeboat responded to the tragedy in 1915 and to coincide with the exhibition, the lifeboat crew will re-enact the call to service and row out to the site of the disaster.